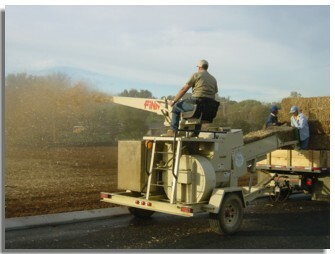 Straw mulch consists of placing a uniform layer of straw and incorporating it into the soil with a studded roller or anchoring it with a stabilizing emulsion. Straw mulch is typically used for soil stabilization as a temporary surface cover on disturbed areas until soils can be prepared for revegetation and permanent vegetation is established. Especially where road work is being done. 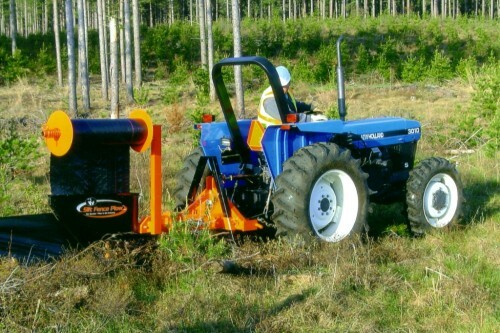 Straw Blowers offer landscape contractors the opportunity for amazing gains in efficiency. They double straw coverage in a fraction of the time it takes to apply by hand. There’s no more efficient way to ensure soil moisture retention and protect against erosion damage to freshly seeded areas.